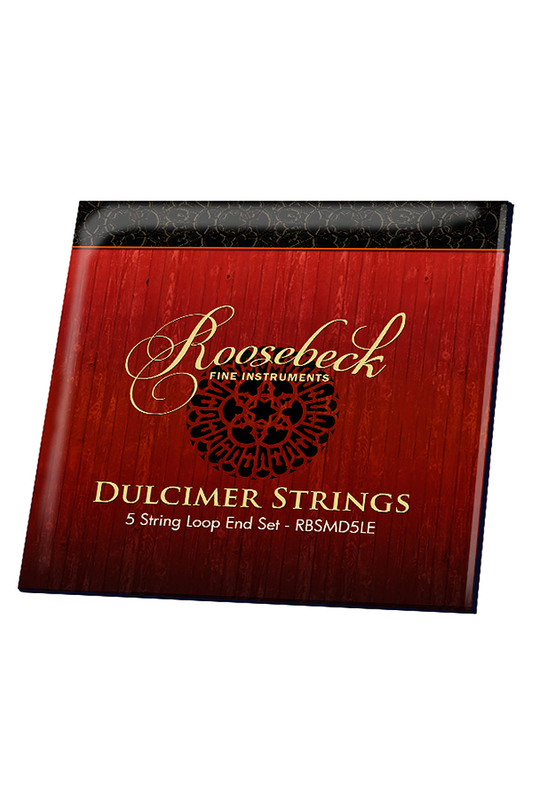 Roosebeck Mountain Dulcimer 5 String Set Loop End RBSMD5LE. The Roosebeck Dulcimer 5 String Set contains 4 plain steel strings and one nickel plated steel wound on steel string. The strings are designed to provide a bright, rich tone. All of the strings have loop ends. The first and second unwound A and D courses have double strings tuned in unison.